Dr Madeleine Fagan is an Assistant Professor in the department of Politics and International Studies at at the University of Warwick. Her current research explores the politics and ethics of the Anthropocene. From 2020-2022 she holds a Leverhulme Research Fellowship for the project 'Contending Cultures of the Anthropocene: Prospects for Political Mobilization' (RF-2019-356\7). Her ESRC-funded PhD thesis explored the implications of prominent critical, interpretive, and non-foundational normative theories for rethinking political action. The monograph based on this research, Ethics and Politics After Poststructuralism: Levinas, Derrida, Nancy, is published with Edinburgh University Press (2013, 2016). Her current research applies this approach to a focus on the the politics of ethical claims about and representations of the anthropocene, as a lens through which to explore the relationships between temporality, subjectivity, spatial imaginations and political community relied upon in these accounts. Initial outputs from this research appear in Political Geography (2019), European Journal of International Relations (2016) and the British Journal of Politics and International Relations (2017) (see Publications page for details). She holds a BA in War Studies from King’s College, London, an MSc in International Relations from The London School of Economics, an MSc in Postcolonial Politics from the University of Wales, Aberystwyth, and a PhD in International Politics from the University of Wales, Aberystwyth. She took up the post of Assistant Professor in PAIS in October 2016. Previously she held a Global Research Fellowship in the Institute of Advanced Study, University of Warwick (2012-2016), and posts in the Department of Politics and International Studies, University of Warwick (2011-2012), and the Department of Politics, University of Exeter (2009-2011). The Anthropocene and critical environmental politics; ethics, environment, the Anthropocene and climate change; the politics of nature, time and subjectivity; ecological security; disastrous, catastrophic and apocalyptic visions of environmental futures. Critical, Normative, and Interpretive Social and Philosophical thought; Poststructuralist philosophy; the work of Emmanuel Levinas, Jacques Derrida and Jean-Luc Nancy; theories of responsibility and ethics; theories of time and temporality; theories of subjecticity, identity and political community. Theories of International Relations, ethics, and global security; Critical, Poststructuralist and post-foundational approaches to global politics; International Political Theory; Contemporary political theory; discourse analysis and critical methodologies; the political implications of ethical theories; aesthetic and everyday approaches to ethics; ethical narratives in film, literature and popular culture; ethics and responses to terrorism in British, European, and global contexts. Ethics and Politics after Poststructuralism: Levinas, Derrida, Nancy (Edinburgh: Edinburgh University Press, 2013, 2016). 'Taking on the Political' series. "An excellent book … makes a significant original argument” Professor Maja Zehfuss, University of Manchester. “Fagan’s imaginative inversion of poststructuralist ethics ... an interesting and provocative book’ Dr Vassilios Paipais, University of St Andrews. “Fagan offers an impressively sophisticated examination of poststructuralist theory and develops an important critique of contemporary ethical thinking” Professor James Martin, Goldsmiths, University of London. M. Fagan et al (eds) Derrida: Negotiating the Legacy (Edinburgh: Edinburgh University Press, 2007). 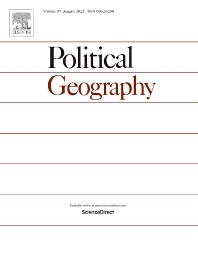 (2019) M. Fagan, 'On the Dangers of an Anthropocene Epoch: Geological Time, Political Time and Post-Human Politics' Political Geography 70: 55-63. (2017) M. Fagan, 'Who's afraid of the ecological apocalypse? Climate change and the production of the ethical subject' British Journal of Politics and International Relations 19(2): 225-244 (Lead Article). (2016) M. Fagan, 'Security in the Anthropocene: Environment, Ecology, Escape', European Journal of International Relations 23 (2): 292-314. (2009) M. Fagan, ‘The Inseparability of Ethics and Politics: Rethinking the Third in Emmanuel Levinas’, Contemporary Political Theory, 8(1): 5-22 (Lead Article). (2008) M. Fagan, ‘The Ontopolitics of Response: Difference, Alterity and the Face’ in Terrorism and the Politics of Response (London and New York: Routledge, 2008). (2007) M. Fagan and M. Suetsugu, ‘Conclusions: The Im/Possibility of Closure’, in Derrida: Negotiating the Legacy, (Edinburgh: Edinburgh University Press, 2007). Leverhulme Research Fellowship, 'Contending Cultures of the Anthropocene: Prospects for Political Mobilization', 2020-2022 (RF-2019-356\7). Global Research Fellowship, Institute of Advanced Study, University of Warwick, 2012-2016. British Academy Overseas Conference Grant, 2011. ESRC 1+3 Doctoral Studentship, Department of International Politics, Aberystwyth University, 2005-2009. 'On the Dangers of an Anthropocene Epoch: Geological Time, Political Time, and Post-Human Politics' Political Geography, 2019. 'Who's afraid of the ecological apocalypse? Climate change and the production of the ethical subject' British Journal of Politics and International Relations, 2017. 'Security in the anthropocene: Environment, ecology, escape' European Journal of International Relations, 2016.